Motors: Are Open Drip Proof 3 phase 208-240/480 volt 60 hz. unless specified differently. 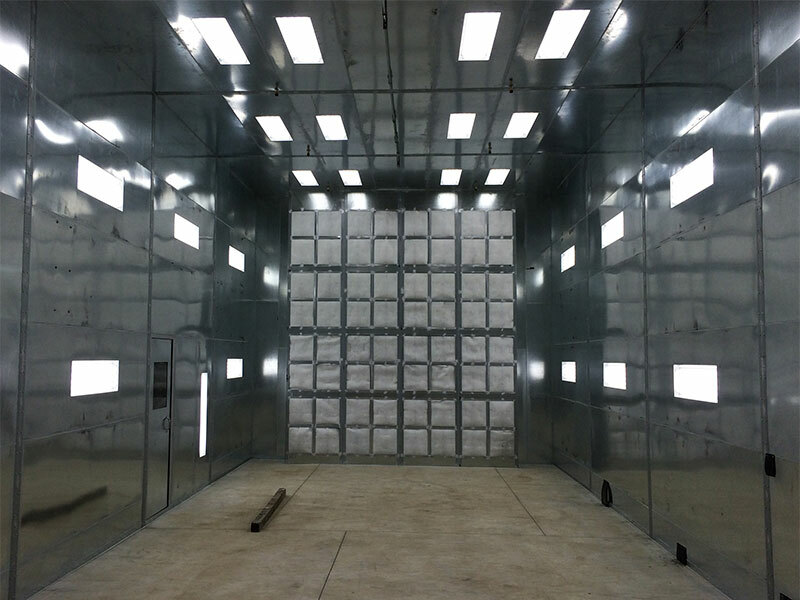 Spray Booth Dimensions: Are width x depth x height O.D. Inside depth is less nominal fan dimension and 6”. 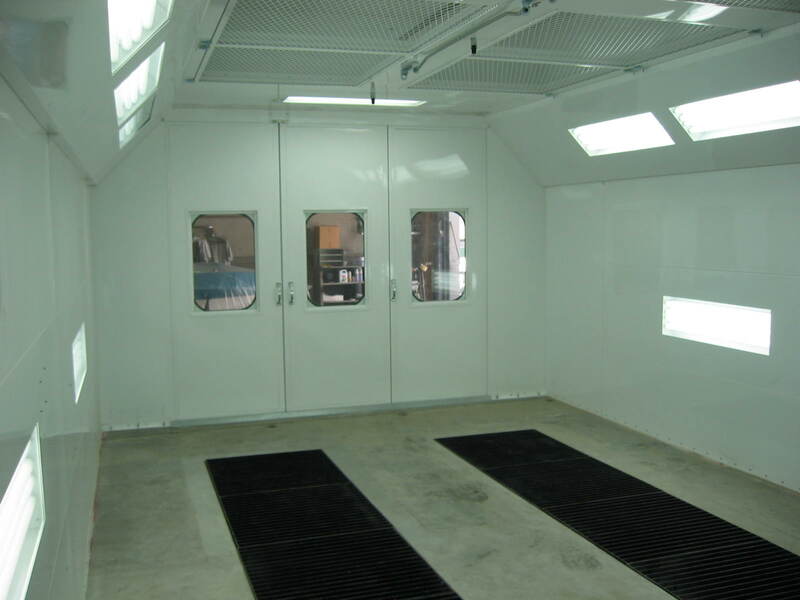 Spray Booth Lighting: All lights are 120 volt fluorescent open type exterior mounted. (less tubes) Lighting may be ordered in vapor tight enclosures. Vapor tight lights are rated as class 1 division 2 hazardous location. Freight: All items, including each spray booth, are un-crated knocked down, dis-assembled. Spray Booths Northwest Internet Sales, LLC accepts no responsibility for loss and or damages to products shipped from Spray Booths Northwest Internet Sales, LLC unless products are shipped freight prepaid by Spray Booths Northwest Internet Sales, LLC. Panels: Are 18 ga. galvanized steel with 2” flanges. All flanges are precision punched 6” on center and joined together with nuts and bolts. Specifications: All specifications, data and prices on this site are subject to change without notice or warning. 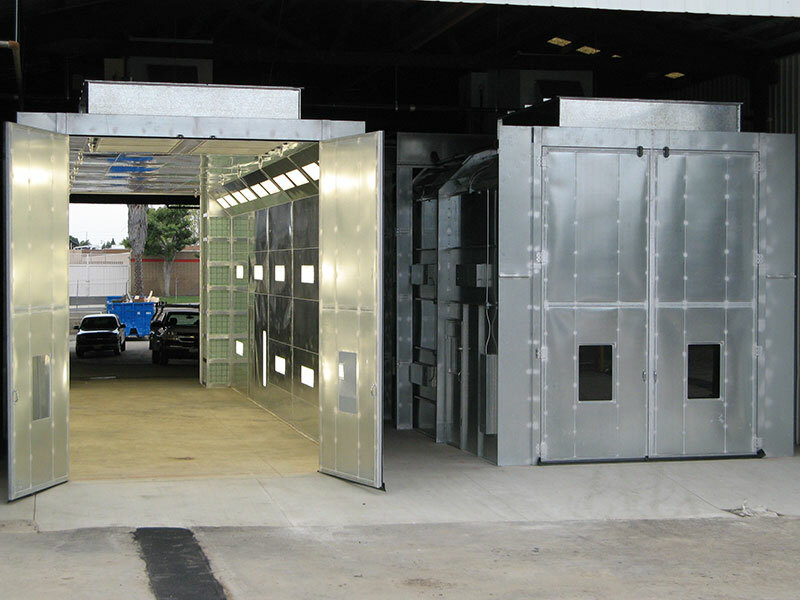 Enclosed spray booths include: Light fixtures, fan, motor, belts, pulley, manometer, intake and exhaust filters, wire grids, door safety latches, caulking, handles, door gaskets, light gaskets, nuts and bolts, hardware and plans. 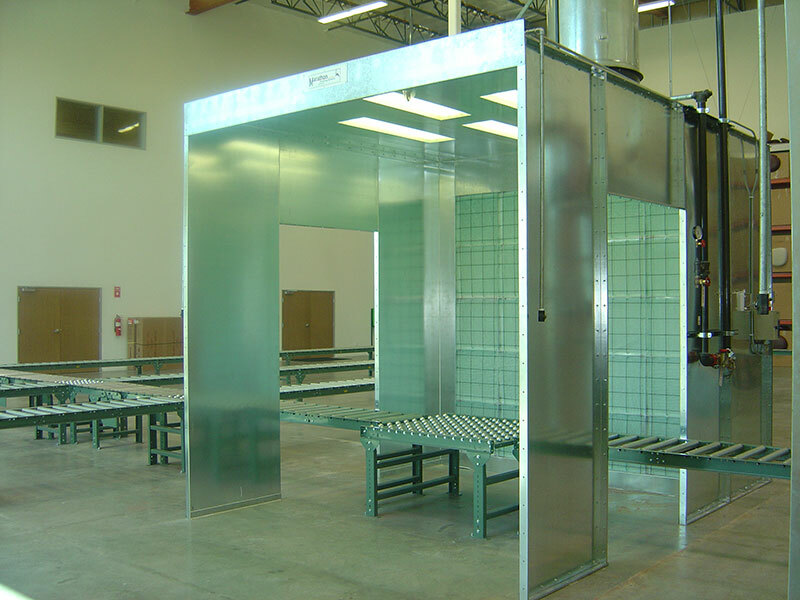 Open face spray booths include: Light fixtures, fan, motor, belts, pulley, manometer, exhaust filters, wire grids, light gaskets, caulking, nuts and bolts, hardware and plans. Limitations of liability: Any liability for consequential and incidental damages is expressly disclaimed. Spray Booths Northwest Internet Sales, LLC’s liability in all events is limited to, and shall not exceed, the replacement price of the part. 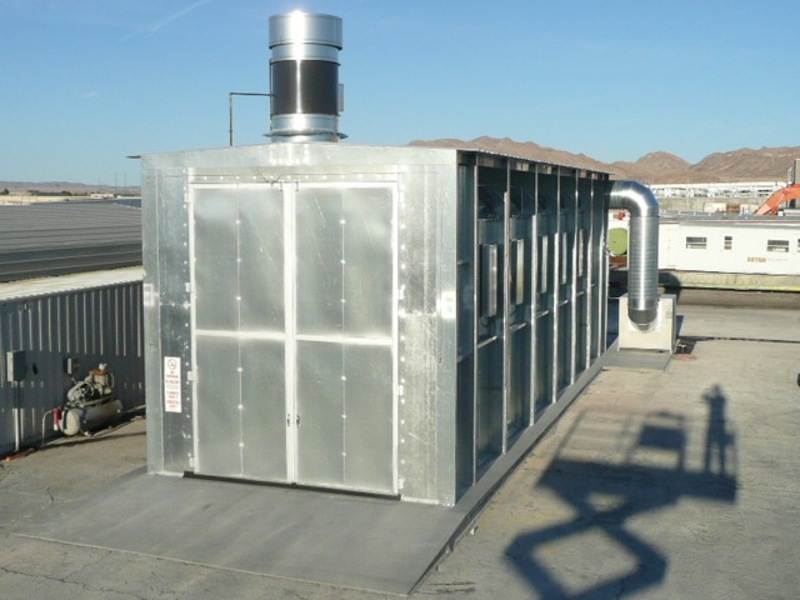 Product suitability: Many states and localities have codes and regulations governing sales, construction, installation and/or use of products, including spray booths, for certain purposes, which may vary from those in neighboring areas. While Spray Booths Northwest Internet Sales, LLC attempts to assure that its products comply with such codes, it cannot guarantee compliance and cannot be responsible for how the product is installed or used. Before purchase and use of a product please review the product application and national and local codes and regulations to be sure that the spray booth product installation and use will comply with them. Limited warranty: All products sold are warranted by Spray Booths Northwest Internet Sales, LLC only to purchasers for use in business of original equipment manufacturing against defects in workmanship or materials under normal use for one year after date of purchase form Spray Booths Northwest Internet Sales, LLC unless otherwise stated. Any part which is determined by Spray Booths Northwest Internet Sales, LLC to be defective in material or workmanship and returned to Spray Booths Northwest Internet Sales, LLC, LLC as Spray Booths Northwest Internet Sales, LLC, LLC line designates, freight pre-paid will be will be as the exclusive remedy repaired or replaced at Spray Booths Northwest Internet Sales, LLC option.